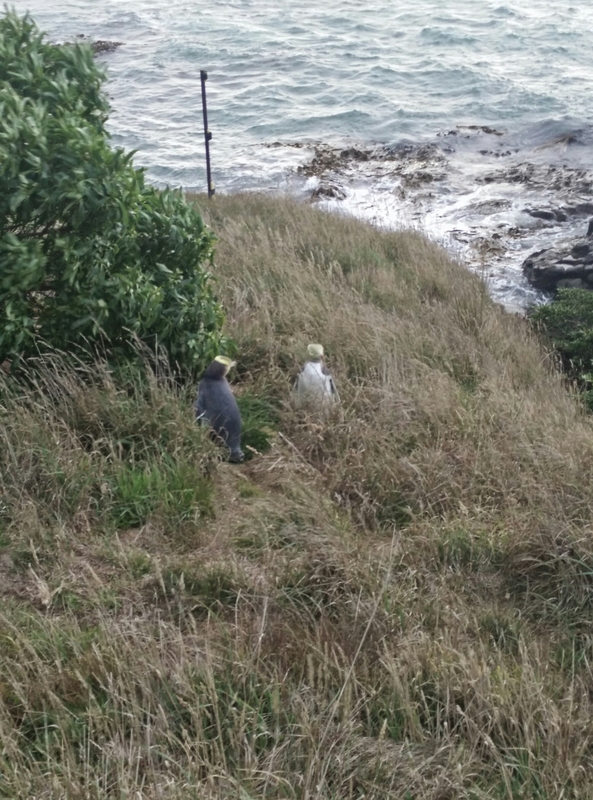 To remind us that we weren’t in Kansas anymore, this East Coast greeted us with yellow eyed penguins and seals at its lighthouse. Waddling around in pairs (mated for life? ), these penguins weathered the wind better than we did. This side of NZ seemed less touristy. Dinner was cheap and when T asked if they had beers at one spot, they proudly answered they had beer AND lager! And a six pack of Speights for $10 (US 7.30), which was the best we’d seen. 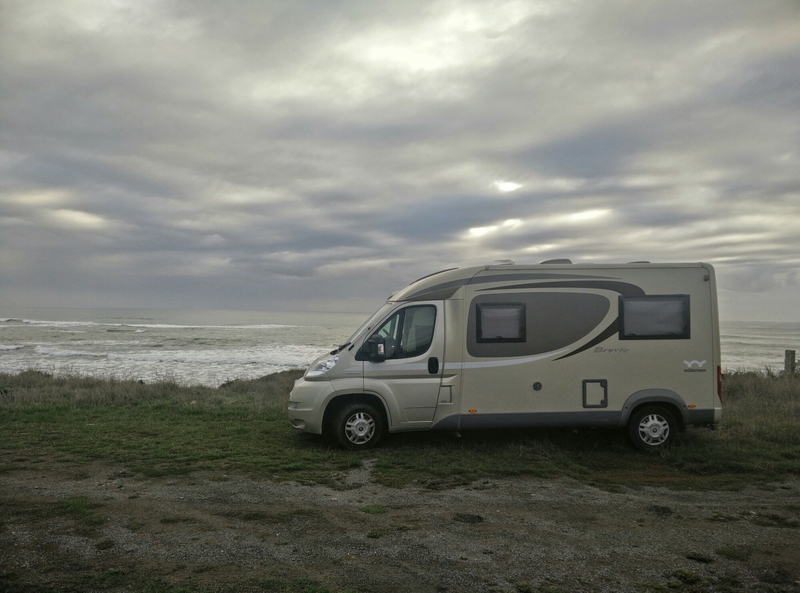 To enhance the experience, we did our van camping on a bluff by the ocean. A storm- the precursor to Cyclone Pam?- made for windy conditions and good surf watching. The beauty of the self contained vehicle came into play this night, which was a perfect Friday 13.